The 2019 GMC Acadia is designed for adventure, whether you’re embarking on a weekend family camping trip or a cross-country expedition. From its streamlined chassis with cabin comforts to all-terrain capabilities and hauling power, this midsize SUV is prepared for whatever adventure you have in store. What Makes the 2019 GMC Acadia Ready for the Road? The 2019 Acadia offers a spacious cabin that comfortably seats up to seven passengers with enough room for their gear. Smart Slide second-row seats allow easy-access to the third row. And with five USB ports and available rear climate controls, power outlet, and second-row heated seats, every passenger can ride in premium comfort. The Acadia features a large cargo area. It packs even more storage space in cleverly-configured areas, such as a center console, bins under the covered trunk floor, and an available second-row rear storage drawer. When you’re packing for a big move, fold down the second and third-row seats to access up to 79. cu. ft. of space. When equipped with the 310-horsepower 3.6L V6 engine, the 2019 GMC Acadia can tow up to 4,000 lbs. That makes transporting jet skis or travel trailers a breeze. When the adventure takes you from the neighborhood to the backwoods, adjust your driving style with the Traction Select system. It features Off-Road, Snow, Sport, and available All-Wheel Drive and Trailer/Tow modes so that you can traverse through muddy forests and along snow- and ice-covered roads with more confidence. When you climb into the 2019 GMC Acadia, you’ll be greeted with a suite of advanced connectivity features. With the available 8″ digital touchscreen infotainment center, you can access integrated navigation, 4G-LTE Wi-Fi, and more of your favorite smartphone applications. Apple CarPlay™ and Android Auto™ allow you to make hands-free phone calls, send text messages, and browse your music library when you connect your compatible smartphone. 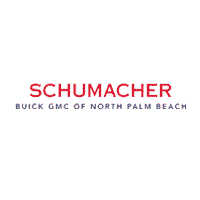 Discover the 2019 GMC Acadia for sale in North Palm Beach today when you visit Schumacher Buick GMC of North Palm Beach. Browse new GMC cars for sale by searching our online inventory.